All About Houseboats, Issue #101 -- Fall is Here and ..
we're glad you can join us for The HOUSEBOAT DIGEST magazine. PERSONAL NOTE from Ian & Manon. So it is with great pleasure to welcome EVERYONE, to our first edition of The HOUSEBOAT DIGEST. We're truly overwhelmed at all the comments, support, and subscriptions we've received from readers on the website. 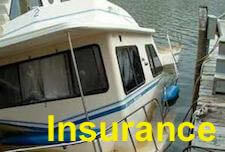 We thank you all for your comments & support, since the website is meant to help fellow Houseboaters. You'll be seeing a lot of growth in the following year, so be sure to spread the word to your friends and family. So let's get started, and we look forward to all of us growing together. Safe Houseboating, Ian & Manon. Fall is HERE, what a wonderful time of year! 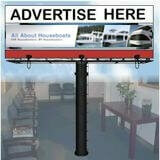 WEBSITE NEWS & UPDATES on "all-about-houseboats.com"
Current hot topics, articles, or events related to houseboats. Halloween just finished, and Xmas is less than two months away, and FALL is HERE! Such a great time of year, the air is crisp, the fishing is good, and some amazing pictures of the changing colors on the trees. Some of you maybe thinking about winterizing the houseboat, while others simply tuck their "summer shorts" in the back of their drawers for a few months. Either way, it's a busy time of year, and we're hectic here at All-about-Houseboats getting ready for the upcoming additions to the site. A quick easy way for you to see what changes have taken place, is to visit the Houseboat Blog page. It lists the articles and reviews that have been written recently. 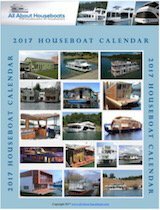 It's a simple way to get a quick overview, and I have made it easy by clicking the link What's NEW on "All-about-Houseboats.com"
One update would be the addition of a "sponsor & affiliate" section. Since the website is a "labor of love", Manon and I still have to pay the bills. So to keep things free for our visitors & readers, this section is an simple way for you to support the site through your normal internet activities. readers comments and reviews on our sponsors & affiliates. Important news and events related to Houseboats & Houseboating. A BIG houseboat event every year is the National Houseboat Expo since it is the worlds largest Houseboat Show. We went to the show in 2007, and it was a BLAST. so we hope you get a chance to make it down. We're expanding, and here are some anticipated upcoming pages. 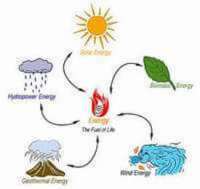 You will see a lot of changes in the upcoming months, since we're past the initial growing pains. 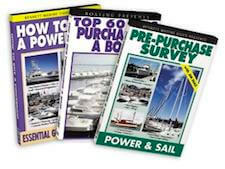 You'll be seeing an expanded Buyer's Guide section, along with a more "Houseboat product reviews". There will a phasing in of a "Houseboats FOR SALE" section to help our readers. Because of your comments, we've started to add more articles of the "TOP10" best...?. 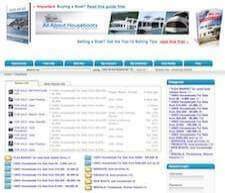 A collection of video's related to Houseboats & Houseboating. In the houseboat video world, the pickings are slim, but I will scour the farthest and deepest reaches of the internet to bring some quality video's, or photo's for you. The Video of the Month, is an excellent piece done by "Julie" over at www.boaters.tv, and they do a weekly segment on everything about boats, and this episode is called Julie's got a CRUSH on Houseboats. WOW, can you tell that we're excited about showing this you. The link will open in a new window, this way it's the best quality. A special place on the web, just for WOMEN Houseboaters. After receiving all the "Newsletter/Magazine" subscriptions, we were surprised to see that a large portion were from female readers. We have a special request, since it's in the planning/organizing stage, if you would share with us your opinions on what you would like to see on the site, this would be an excellent time. Looking forward to your emails. A selection of hot products, deals, and discounts from our affiliates. Grab a bargain and support "all-about-Houseboats" at the same time! You can't have a Grand Opening without a hot product, and I'm sure you'll agree that a DVD on the "Lifestyle of Luxury Houseboats" is a topic that can get some of us daydreaming about plush mega sized houseboats. that could make it on your Shopping list? would prefer to watch, rather than read. again, DVD's on Houseboats are RARE! or for ordering information, click here.